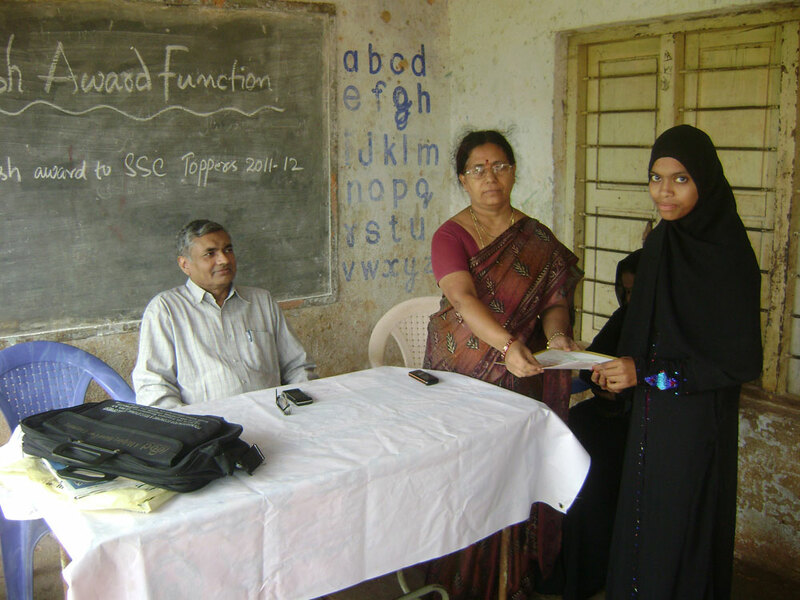 It was felt necessary to put forth efforts to see that the students of SSC should have thorough knowledge about the subjects they are studying. 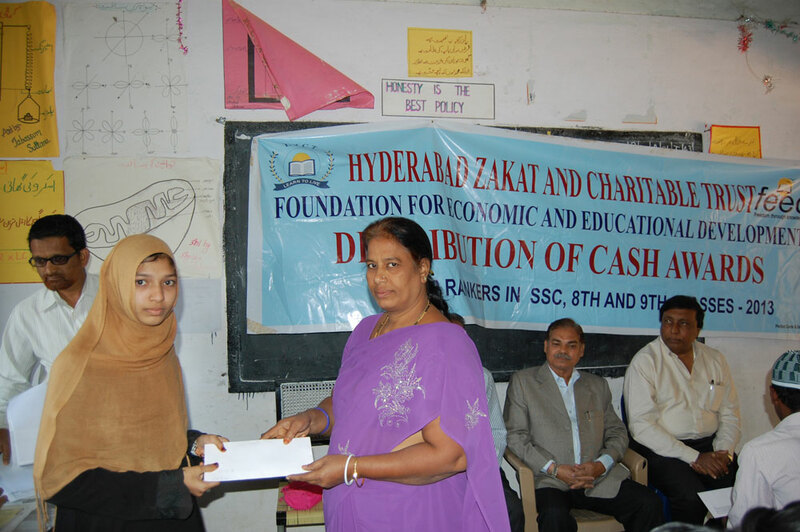 It was often noticed that the performance of our students was not up to the mark and as a result they were either discontinuing education after SSC or taking admission in insignificant courses, spoiling their career path. 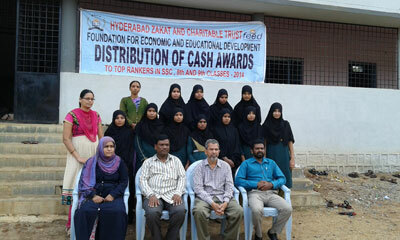 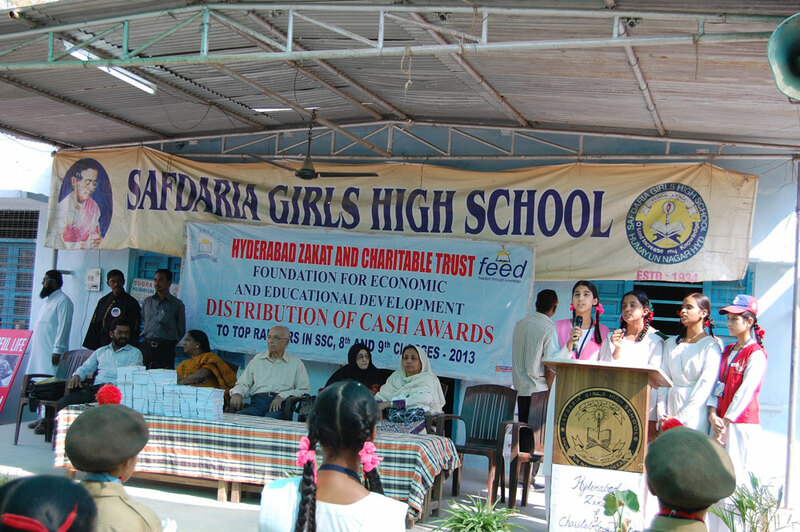 We have displayed banners with details of our merit award scheme. 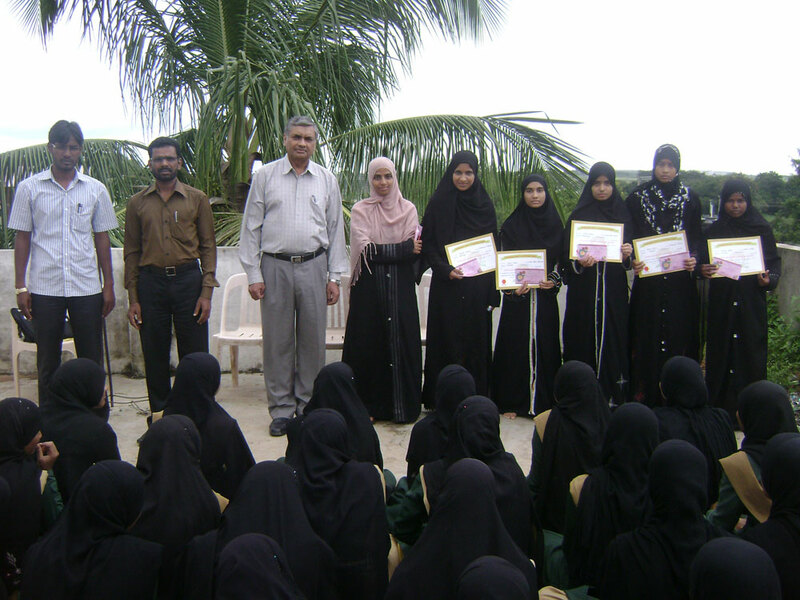 The Merit award of Rs.10,000/- is offered to those students who get 9.3 GPA and above marks was very attractive and created a good competitive spirit among them. 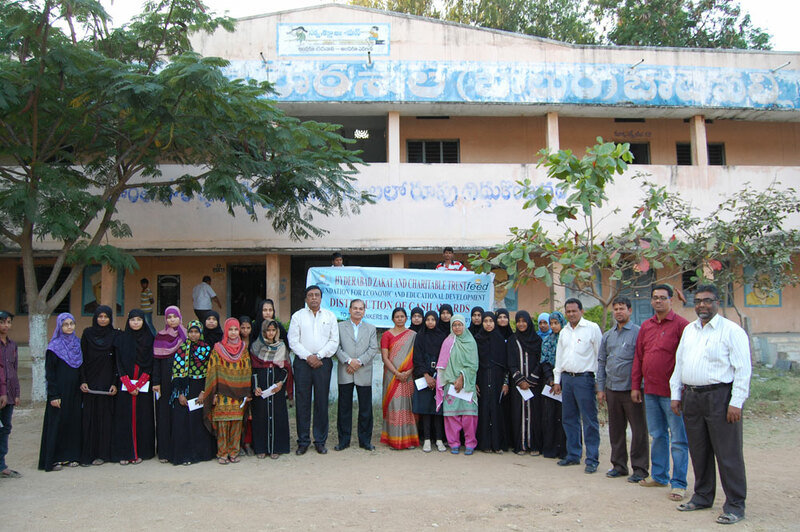 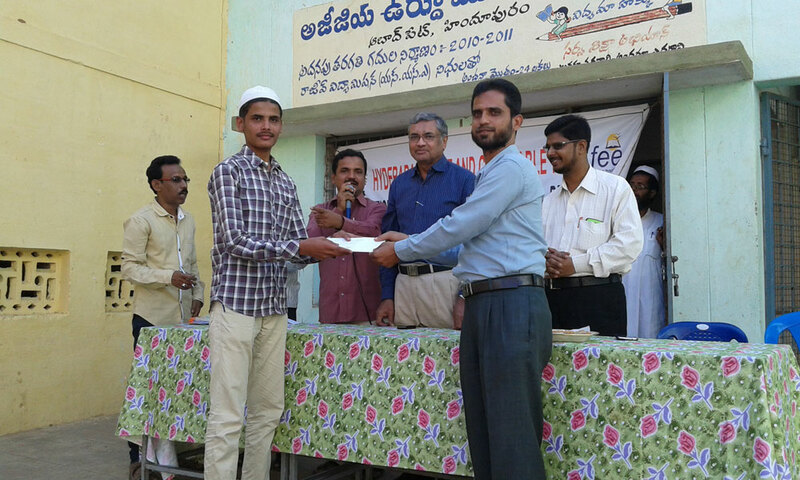 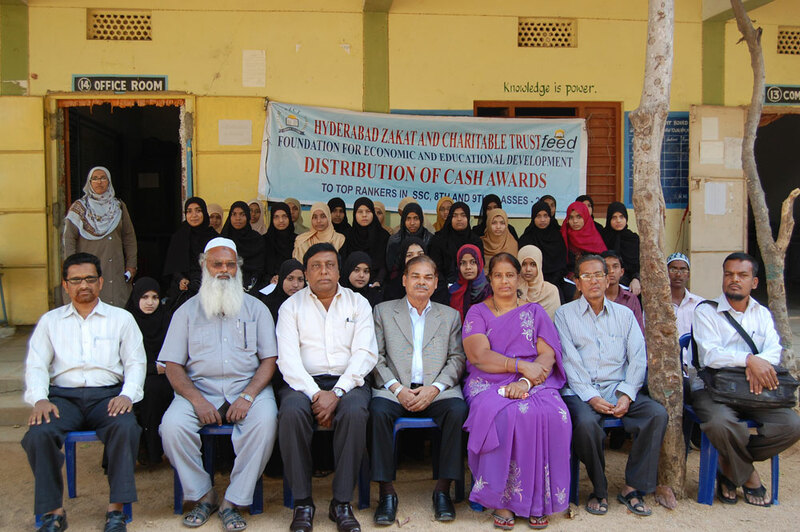 For students with percentage between 8.3GPA and above the amount of award was Rs.3,000/- and for those who got 7.3 GPA and above the amount of award was Rs.1,500/-. 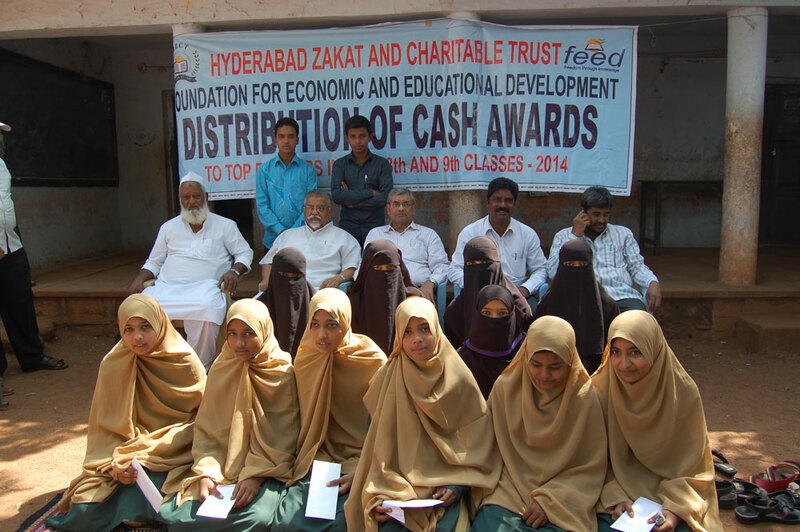 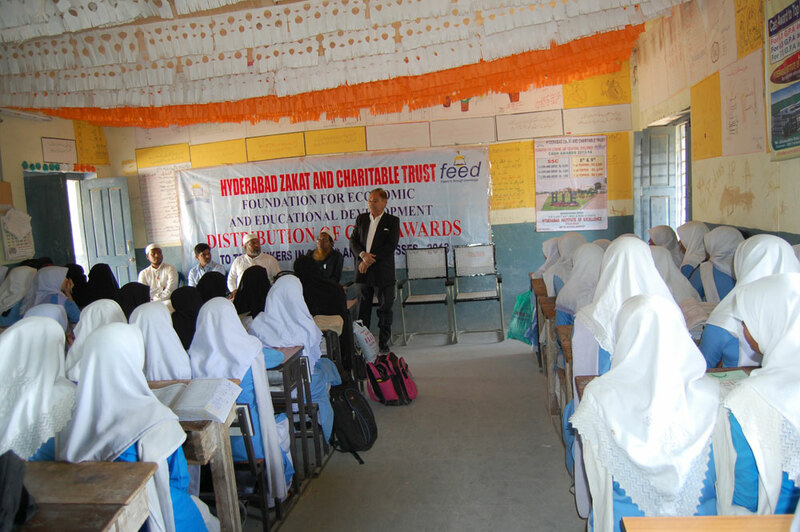 The banners were displayed in their class rooms well before the examination which reminds the students every day and creates a good sense of competition among them to attain cash award. 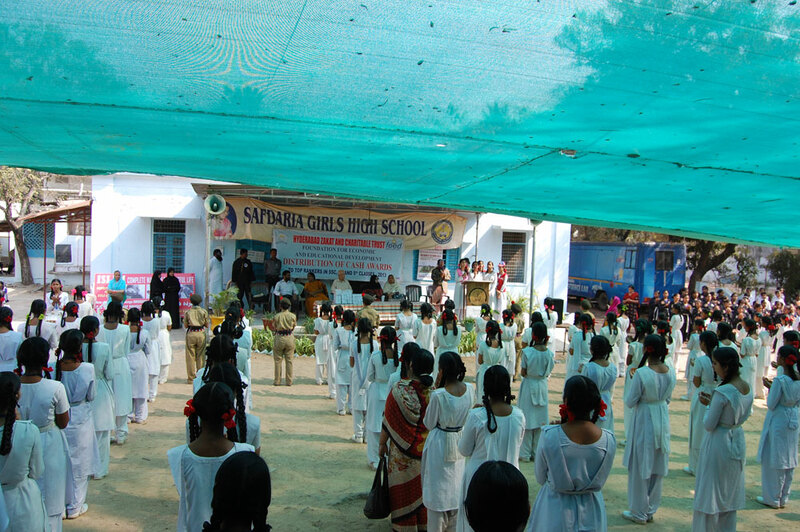 The schools are monitored by our network of offices throughout the state. 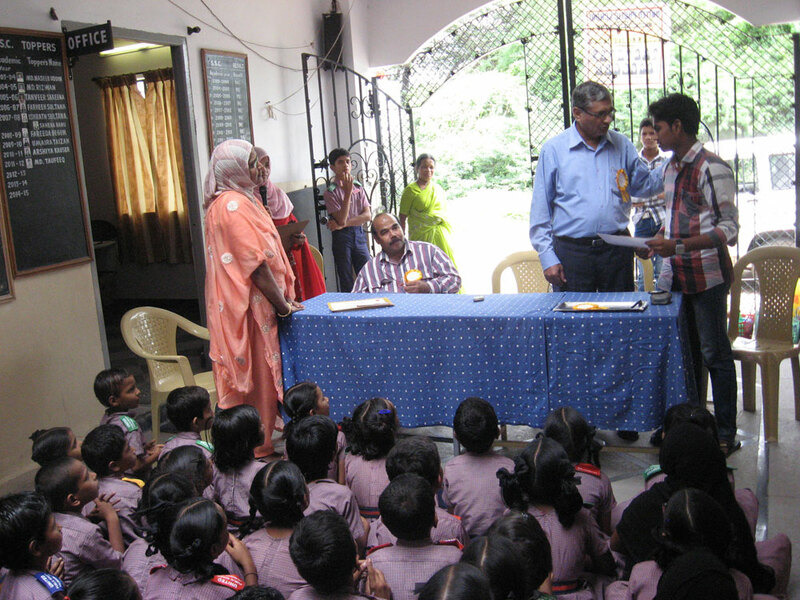 This scheme was initially introduced in 5 English medium schools and 37 Urdu Medium schools in the year 2011-12 on experimental basis which was found more successful as the momentous changed in the performance of the students of SSC in these schools could be seen. 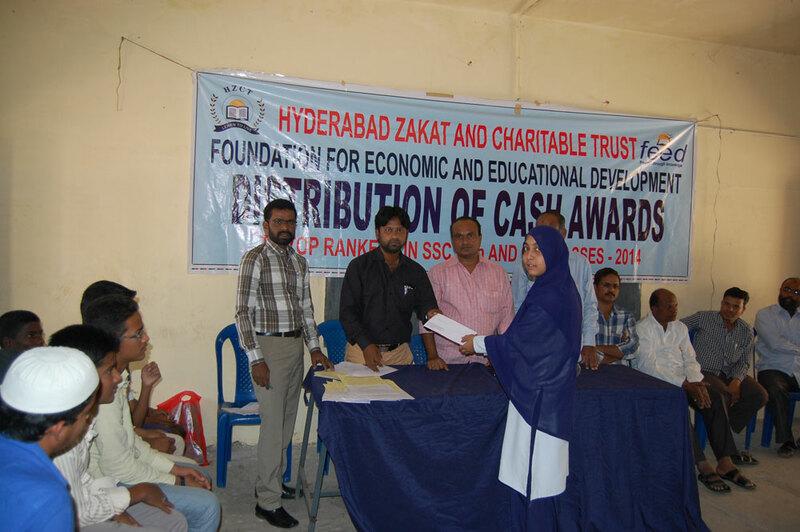 Therefore this scheme is being continued since then. 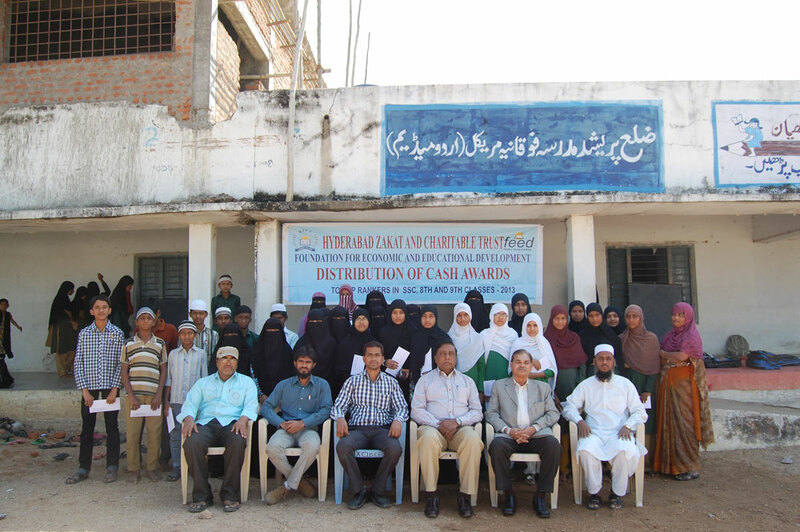 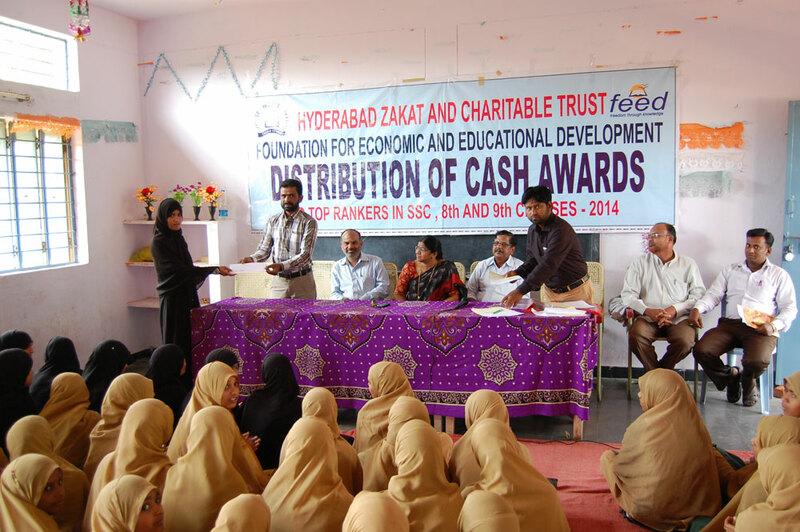 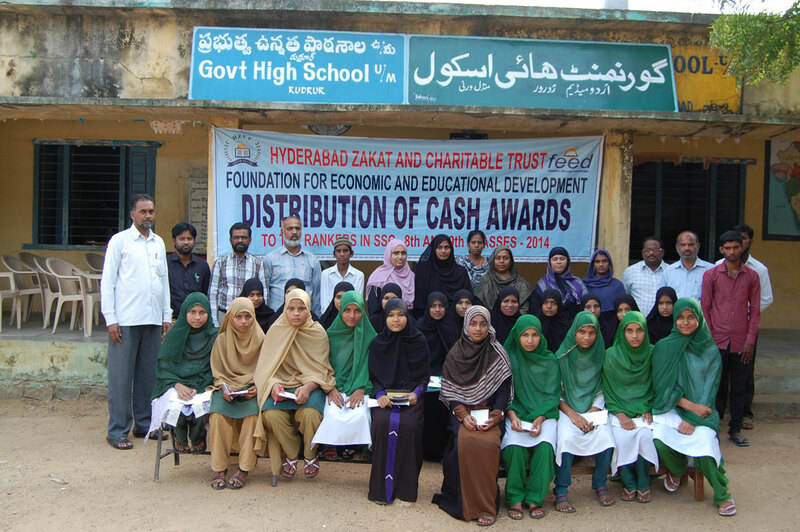 From the academic year 2012-13 we have expanded this cash award scheme to another 187 schools additionally covering 10,300 students in 16 districts of the state of Andhra Pradesh with an estimated budget of Rs.60 lakhs (US$120,000). 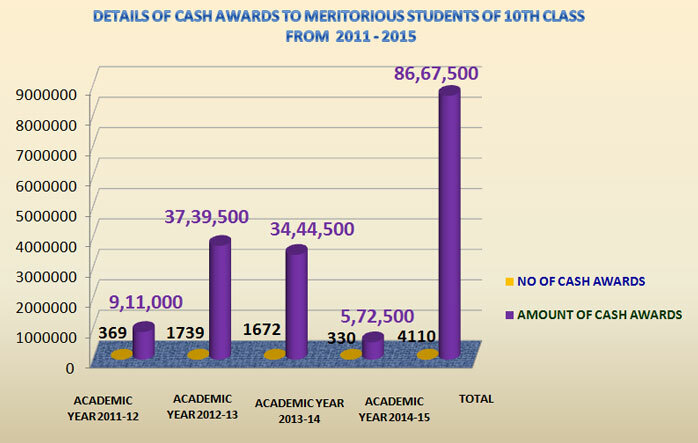 This figure is inclusive of 20 Telugu medium schools also. Since last year (2015-16) we have modified the scheme as “Gems of the Nation award” for meritorious girl students and announced in all the Districts of Telangan and A.P. 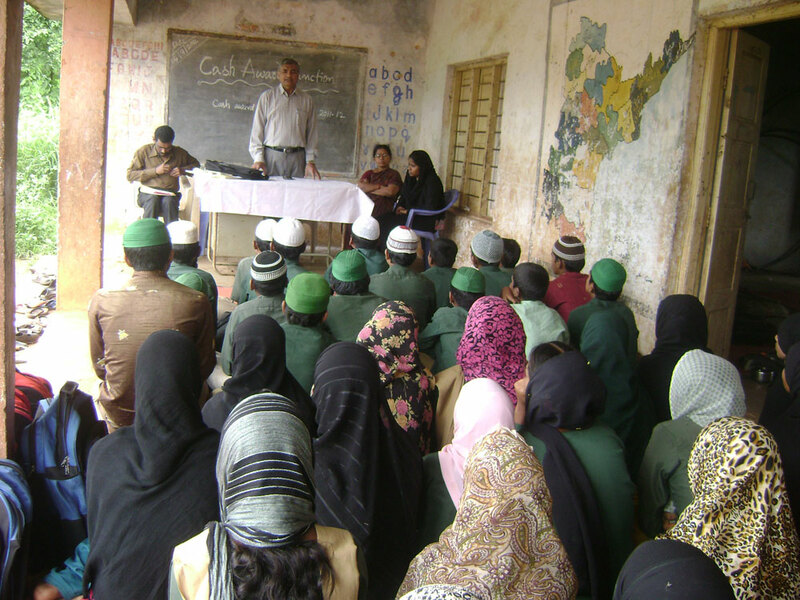 States in all Government and private schools. 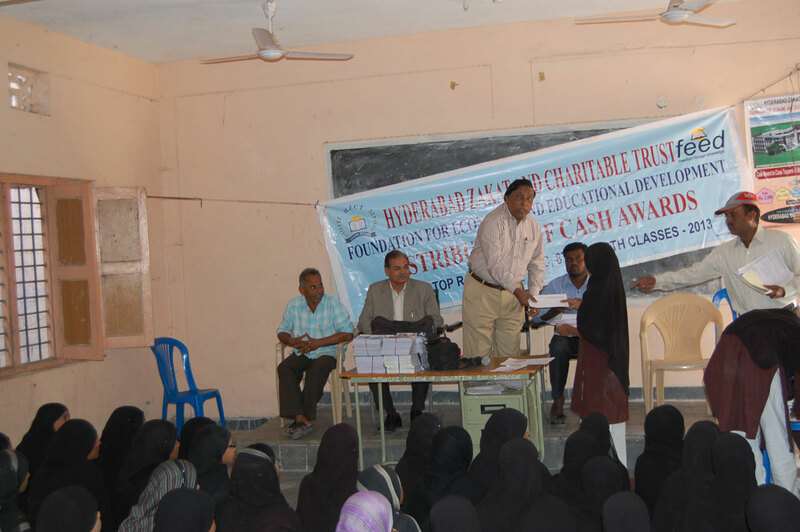 Under this scheme any girl student who secured 9.3 GPA and above marks in SSC (10th Class) Board examination will be awarded with Rs.10,000/- ($ 160) to each eligible student apart from Medal and certificate.